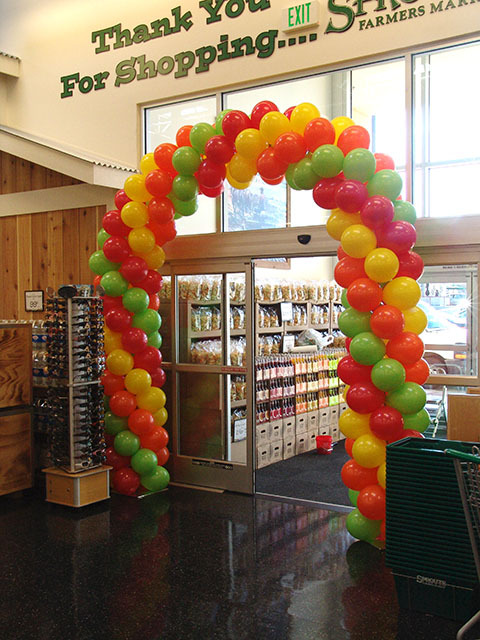 Sprouts in Castle Rock, Colorado had their Grand Opening, and what better way than with huge balloon arches? These arches are air filled and on framework allowing them to stay in great shape and lasting for two weeks or more!! 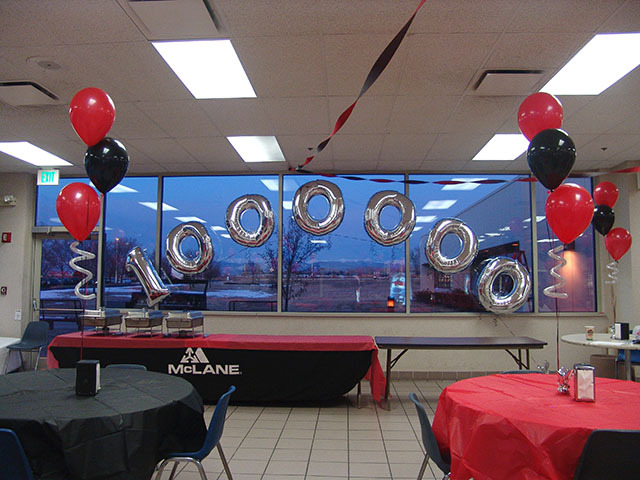 Fantanstic Fun Party Arches in Longmont, CO! 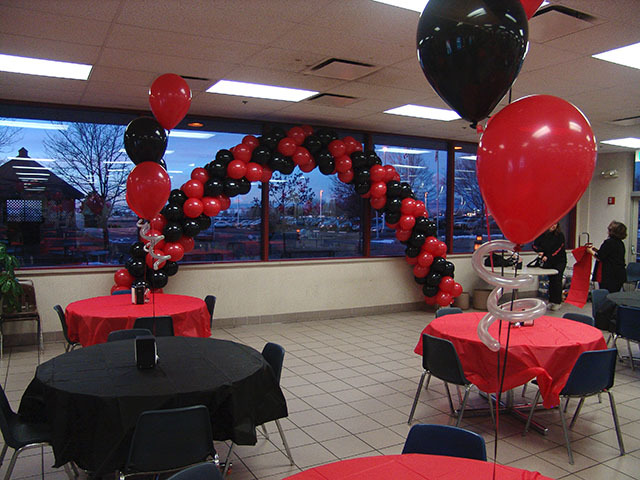 These fantastic fun balloon arches looked great in the cafeteria and really got the party going! 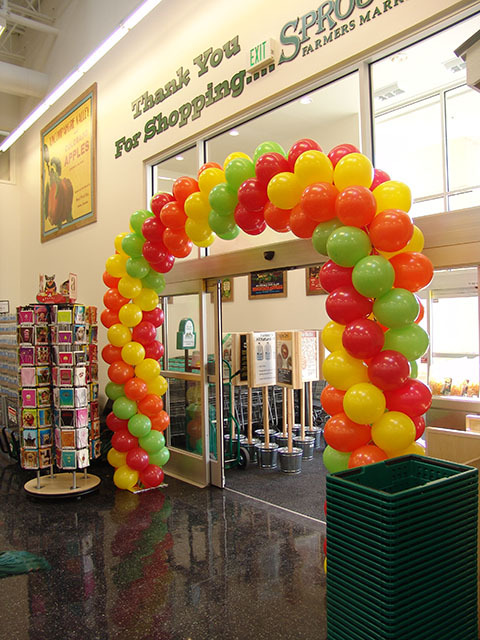 We delivery almost any kind of balloon arch or balloon column to any where in the Denver area. These were in Longmont, Colorado.